Still have a few questions? Fill out this quick form and an ATS recruiter will contact you. Are you at least 22 years old? 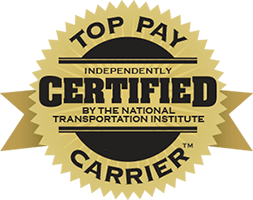 Have a Class A CDL? Have at least 8 mo. verifiable OTR experience in the past 24 months? Have more than 2 moving violations in the past 3 years? Have more than 2 preventable accidents in the past 3 years? I hereby consent to receive email, txt, and autodialed and/or pre-recorded telemarketing calls from or on behalf of ATS at the email address and telephone number provided above. Fill out this short form to have a recruiter contact you! I hereby consent to receive email, text and auto-dialed and/or pre-recorded telemarketing calls from or on the behalf of ATS at the email address and telephone number provided above. © 2018 Anderson Trucking Service, Inc.